Stamps make excellent heirloom as they increase in value after years of storage. Some of us might hold antique stamp collections passed down from our grandparents or as a hobby. But what can we do with them? Stock market routs spurred investors to seek other places for their cash, leading to a surge in Chinese popularity. How can we bring our hobby up a whole new level and benefit from this phenomena? Find out the story behind your stamps, record and pass them on to your grandchildren as an invaluable gift. After all, we all love to know the story behind every rare stamp! They are a mistake worth millions. China’s 1968 The Whole Country is Red was sold for US$1.15 million in 2015, US’s 1918 Inverted Jenny was sold for US$1,175,000 in 2016, UK’s 1863 Plate 77 Penny Red was sold for £495,000 (US$650,000) in 2016. Chairman Mao Zedong banned stamp collecting as he considered it bourgeois. 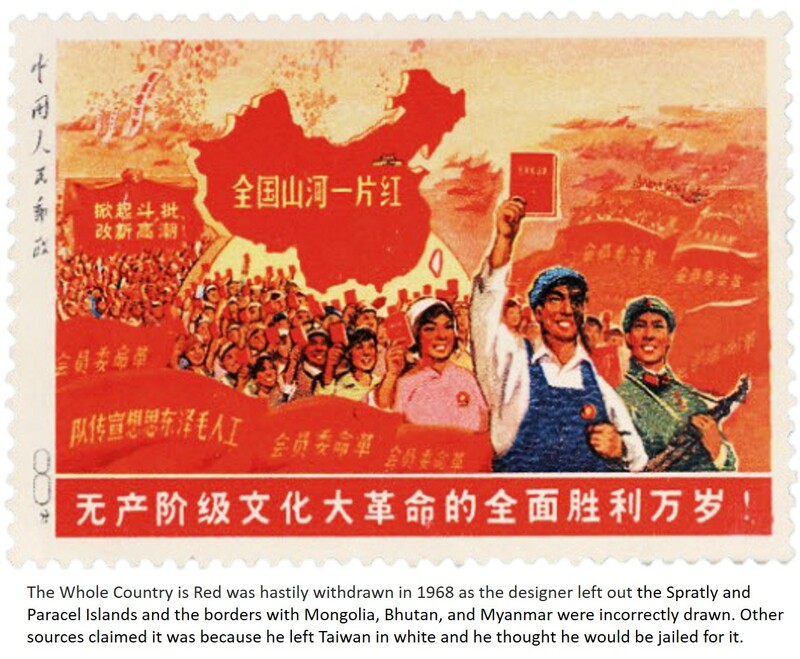 Collectors are now vying for valuable stamps from late 1960s, the beginning of the Cultural Revolution. Store stamps in albums with thick paper and plastic slots, protected by paper of low acidity to preserve them for a longer period of time. The better the condition, the more they are worth! And like Mr Johnny Lowis, a Singaporean stamp collector with almost a million stamps, the most precious pieces can be kept in a bank safe, while the remaining are placed in rental storage. Search Facebook for stamp collector groups where you can exchange stamps internationally and expand your collection!